Pittsburgh Custody Lawyers | Lisa Marie Vari & Associates, P.C. When you and your child’s other parent are having difficulty coming to a custody arrangement, our child custody lawyers in Pittsburgh will fight for your children’s best interests. Child custody cases are often the most difficult and emotionally charged aspect of family law cases. If you are contemplating the end of a relationship that involves minor children or you need to establish or modify a child custody order or informal arrangement, you need an experienced Pennsylvania child custody attorney. Our western PA and Allegheny County child custody lawyers have represented thousand of parents who fought for a custody order that was best for their children. There are many different types of schedules under PA custody laws; let a Pittsburgh child custody lawyer at Lisa Marie Vari & Associates, P.C. fight for the schedule that is in the best interests of your minor children. Sole Physical Custody – Sole custody is the award of custody rights to one parent with no custody rights to the other parent. Sole physical custody is rarely awarded by Pennsylvania family court judges. Primary Physical Custody – Primary custody is the right of one parent to have the majority of custodial time with a minor child or minor children. Partial Physical Custody – Partial custody is the right to take possession of a minor child or minor children away from the custodial parent and may include the right to have overnight custody with the child or children. Shared Physical Custody – Shared physical custody (sometimes referred to as joint physical custody, joint custody, or shared custody) is the term used to designate frequent and continuing contact between the minor child or children and their parents. This term is utilized most frequently by the Pennsylvania family courts when the actual custody time is split anywhere from 60/40 to 50/50. Visitation – Visitation is the right to spend time with a minor child or minor children but not the right to remove the child or children from the custodial parent’s presence or control. Sometimes visitation is directed as supervised visitation, meaning that the parent must have another trusted person observe the exercise of visitation rights. Other times visitation is exercised as unsupervised visitation. Ultimately, the PA courts will want to do whatever is in the best interest of the children you share with your former partner, and in most cases, this will be a shared physical custody arrangement so that both parents have the opportunity to spend an equal amount of quality time with their children. However, if there is reason to believe that this is not in the best interests of your children, another physical custody arrangement can be implemented. In Pennsylvania, legal custody is the right to make important decisions that impact children, including decisions regarding education, religion, and medical care. If parents are able to cooperate in any minimal fashion, shared legal custody is often ordered. Under a shared legal custody arrangement, the parents share the responsibility for making major decisions. If you are entering into a sole legal custody arrangement, then the parent who has sole physical custody on a given day will make routine day-to-day decisions impacting a minor child without having to consult with the child’s other parent. Our firm is prepared to assist you in any of the aforementioned custody disputes. If you are having other issues that have not been described above, reach out to our highly trained Pittsburgh child custody attorneys for further assistance. Every child custody case is different from the next, so even if you have been through this process before, chances are you have questions about what to expect when you have to retain an attorney to resolve your Pittsburgh child custody disputes. With this in mind, we have addressed some of the most commonly asked questions that families going through the same issues as you need answers to. If your questions have not been answered here, you can contact our office directly for more information. What does a typical shared custody arrangement look like? For families who have both shared physical and legal custody, the children will not primarily reside with either parent. Instead, they might spend three or four days out of the week at one parent’s home and the other days of the week at the other parent’s home. Both parents will be responsible for making important decisions regarding their children’s wellbeing and will need to be able to work together through any and all issues that arise in order for such an arrangement to be successful. How do I modify an existing child custody plan? When you are interested in modifying your existing child custody order, you will need to petition the court that issued your original child custody plan to do so. If both parties agree to the modifications and the courts are able to see that such modifications are to the benefit of your children, then you can expect the judge to grant your modification petition. What do I do if my children’s other parent is interfering with our custody plan? In the event that your child’s other parent is not complying with your court-ordered custody plan, we can initiate a contempt action against them, as interfering with a custody plan is against the law. During this time, it may be in your best interest to seek a custody modification. Once resolved, you may be awarded makeup time for the time you lost with your children. The courts may also decide to impose other sanctions against the parent who was not compliant with the existing child custody arrangement. There are many reasons why we are different from other Allegheny County child custody law firms. Our Pennsylvania custody attorneys have litigated many child custody trials and have settled many more child custody cases by agreement of the parties and without the necessity of a formal custody trial. In fact, our founding lawyer, attorney Lisa Marie Vari, has focused her attention primarily in the area of PA child custody law for the past twenty-five-plus years. Our PA child custody lawyers understand how Pennsylvania courts determine custody. At Lisa Marie Vari & Associates, P.C., we believe that our lawyers’ effort to fairly and objectively analyze custody cases in the early stages of litigation is one of the keys to the results our law firm has obtained for our Pennsylvania custody clients. 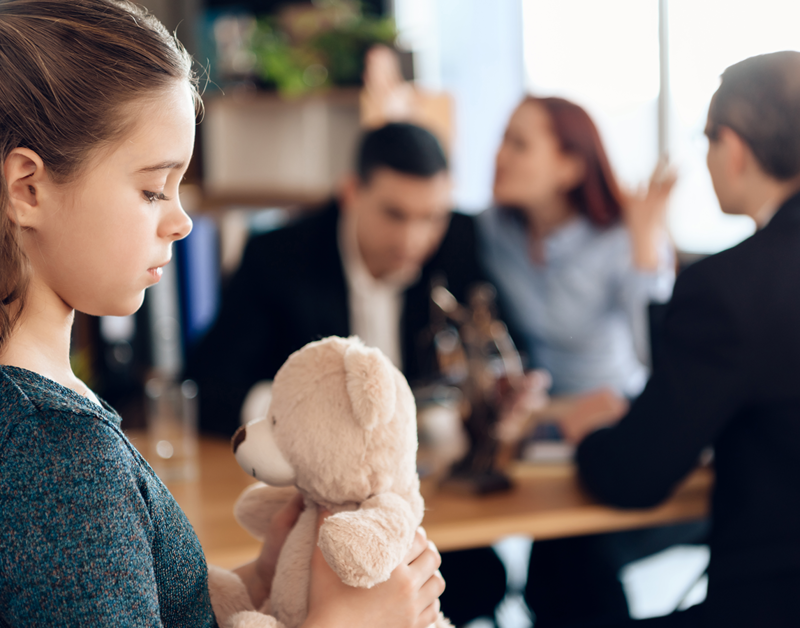 When necessary, your Pittsburgh child custody lawyer will employ the use of independently retained child psychologists to assist in the preparation of a custody case and, if appropriate, to provide a critique of written report or testimony of any court-appointed child psychologist. To contact our office, call 1-844-VARI-LAW (827-4529) today.